The golfer is offered a large fairway to aim at. 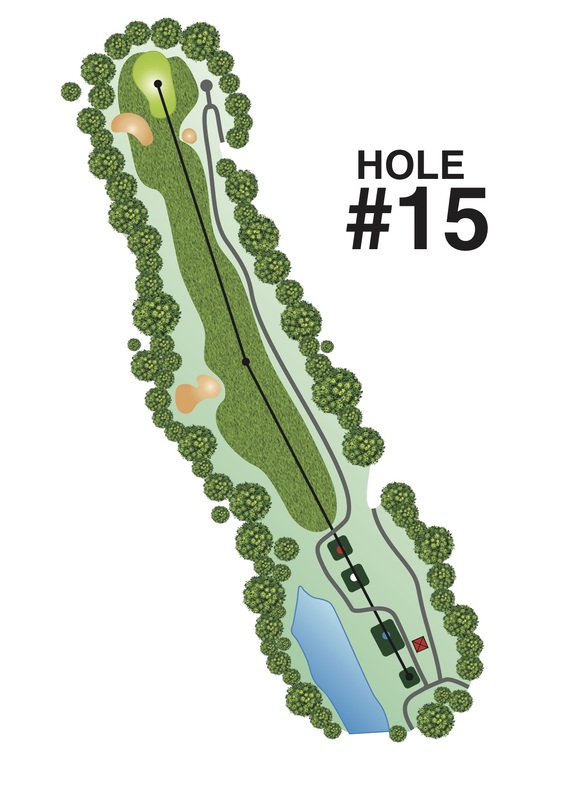 However, a tee shot to the left may result in a blind spot to the green. From the fairway, the GLF bunker on the right appears to be sitting just next to the green, play over it to reach the pin.